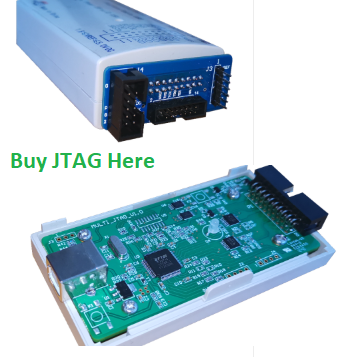 What is a JTAG and Where to Buy JTAG ? 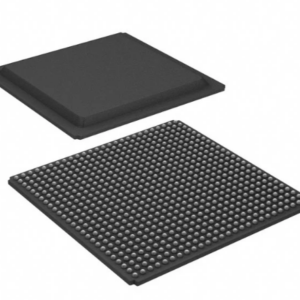 All the signals between the device’s core logic and the pins are intercepted by a serial scan path known as the Boundary Scan Register (BSR) which consists of a number of boundary scan ‘cells’. In normal operation these boundary scan cells are invisible. However, in test mode the cells can be used to set and/or read values from the device pins (or in ‘internal’ mode from values of the core logic.) 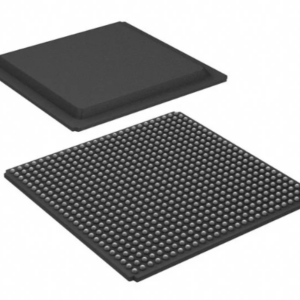 Not all boundary scan cells are the same – there are 10 types of cell in the 1149.1 standards, though manufacturers can define non-standard cell types to match the actual hardware functionality of their device if they wish. TCK (Test Clock) – this signal synchronizes the internal state machine operations. TMS (Test Mode Select) – this signal is sampled at the rising edge of TCK to determine the next state. TDI (Test Data In) – this signal represents the data shifted into the device’s test or programming logic. It is sampled at the rising edge of TCK when the internal state machine is in the correct state. TDO (Test Data Out) – this signal represents the data shifted out of the device’s test or programming logic and is valid on the falling edge of TCK when the internal state machine is in the correct state. TRST (Test Reset) – this is an optional pin which, when available, can reset the TAP controller’s state machine. Instruction Register – the instruction register holds the current instruction. Its content is used by the TAP controller to decide what to do with signals that are received. Most commonly, the content of the instruction register will define to which of the data registers signals should be passed. Data Registers – there are three primary data registers, the Boundary Scan Register (BSR), the BYPASS register and the IDCODES register. Other data registers may be present, but they are not required as part of the JTAG standard. BSR – this is the main testing data register. 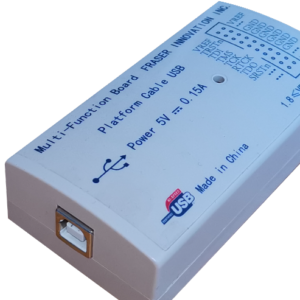 It is used to move data to and from the I/O pins of a device. 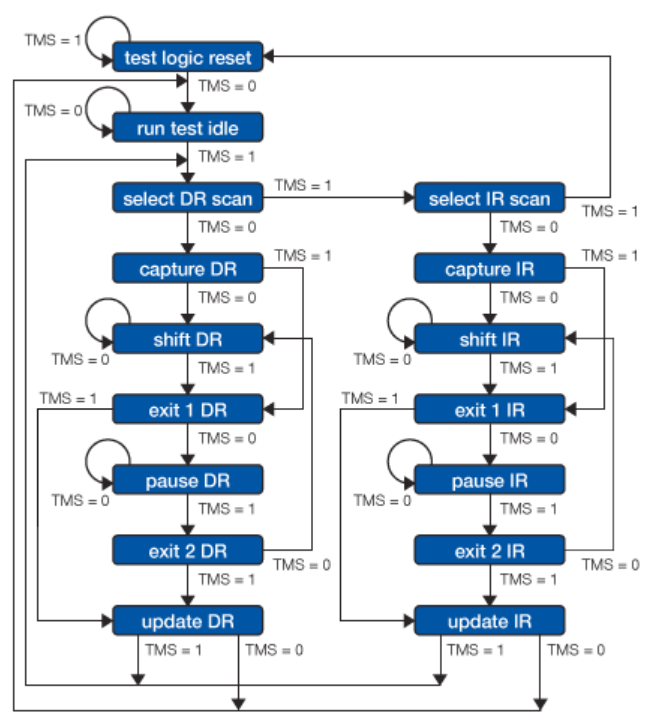 BYPASS – this is a single-bit register that passes information from TDI to TDO. It allows other devices in a circuit to be tested with minimal overhead. IDCODES – this register contains the ID code and revision number for the device. This information allows the device to be linked to its Boundary Scan Description Language (BSDL) file. The file contains details of the Boundary Scan configuration for the device. 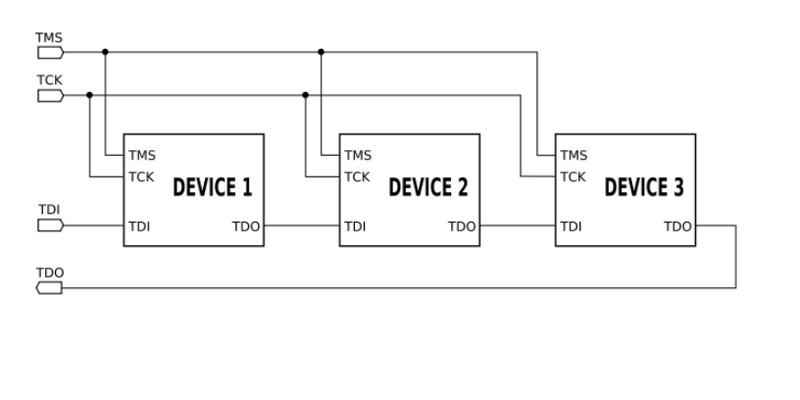 The TAP controller, a state machine whose transitions are controlled by the TMS signal, controls the behaviour of the JTAG system. Figure 2, below, shows the state-transition diagram. BYPASS – this instruction causes the TDI and TDO lines to be connected via a single-bit pass-through register (the BYPASS register). This instruction allows the testing of other devices in the JTAG chain without any unnecessary overhead. EXTEST – this instruction causes the TDI and TDO to be connected to the Boundary Scan Register (BSR). 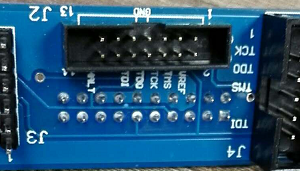 The device’s pin states are sampled with the ‘capture dr’ JTAG state and new values are shifted into the BSR with the ‘shift dr’ state; these values are then applied to the pins of the device using the ‘update dr’ state. SAMPLE/PRELOAD – this instruction causes the TDI and TDO to be connected to the BSR. However, the device is left in its normal functional mode. During this instruction, the BSR can be accessed by a data scan operation to take a sample of the functional data entering and leaving the device. The instruction is also used to preload test data into the BSR prior to loading an EXTEST instruction. IDCODE – this instruction causes the TDI and TDO to be connected to the IDCODE register. INTEST – this instruction causes the TDI and TDO lines to be connected to the Boundary Scan Register (BSR). 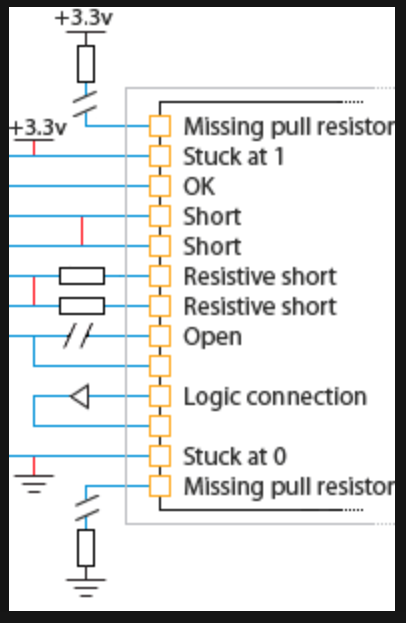 While the EXTEST instruction allows the user to set and read pin states, the INTEST instruction relates to the core-logic signals of a device. EXTEST, INTEST, standard instructions, but operating on the core instead of an external boundary scan chain. EXTEST is nominally for writing data to the core, INTEST is nominally for reading it; but two scan chains are exceptions to that rule. 5 – Debug Communications Channel (DCC), 34 bits (one long data word plus two status bits) used for bidirectional data transfer to the core. This is used both in debug mode, and possibly at runtime when talking to debugger-aware software. 6 – Embedded Trace Module (ETM), 40 bits (7 bit address, one 32-bit long data word, and a R/W bit) used to control the operation of a passive instruction and data trace mechanism. 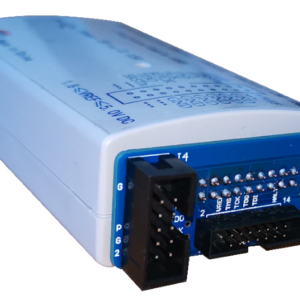 This feeds either an on-chip Embedded Trace Buffer (ETB), or an external high speed trace data collection pod. Tracing supports passive debugging (examining execution history) and profiling for performance tuning. 7 – debug module, 40 bits (7 bit address, one 32-bit long data word, and a R/W bit) used to access hardware breakpoints, watchpoints, and more. These can be written while the processor is running; it does not need to be in Debug Mode. HALT and RESTART, ARM11-specific instructions to halt and restart the CPU. 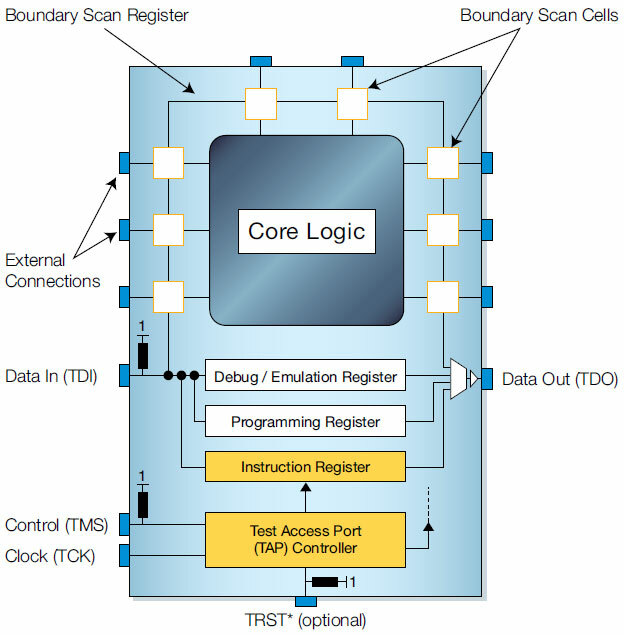 Halting it puts the core into the “Debug Mode”, where the ITR can be used to execute instructions, including using the DCC to transfer data between the debug (JTAG) host and the CPU. ITRSEL, ARM11-specific instruction to accelerate some operations with ITR. That model resembles the model used in other ARM cores. 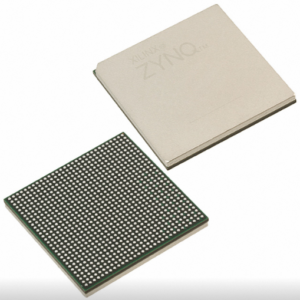 Non-ARM systems generally have similar capabilities, perhaps implemented using the Nexus protocols on top of JTAG, or other vendor-specific schemes. Older ARM7 and ARM9 cores include an EmbeddedICE module which combines most of those facilities, but has an awkward mechanism for instruction execution: the debugger must drive the CPU instruction pipeline, clock by clock, and directly access the data buses to read and write data to the CPU. The ARM11 uses the same model for trace support (ETM, ETB) as those older cores. Newer ARM Cortex cores closely resemble this debug model, but build on a Debug Access Port (DAP) instead of direct CPU access. In this architecture (named CoreSight Technology), core and JTAG module is completely independent. The CoreSight JTAG-DP is asynchronous to the core clocks, and does not implement RTCK. Also, the newer cores have updated trace support. 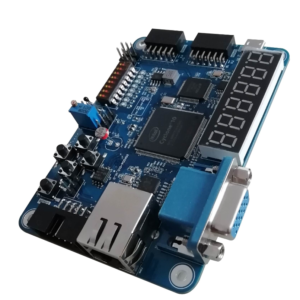 You can buy JTAG online in FPGAMarketing.com website and chose from eight different JTAG connector and JTAG Programmer.